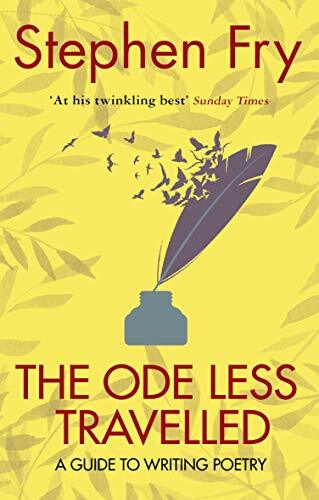 Stephen Fry’S The Ode Less Travelled provides us with a witty and entertaining guide to the mysteries of writing poetry. Stephen Fry has always had a secret passion for poetry and he reveals this in this book about how to write poetry. This book will give everybody the tools to write poetry; covering the full spectrum of the different poetic forms, structures and techniques. According to Stephen it will make writing poetry fun, easy, satisfying, fulfilling and delightful. "A smart, sane and entertaining return to the basics... If you like Fry’s comic manner... this book has a lot of charm... People entirely fresh to the subject could do worse than stick with his cheerful leadership." As well as being the bestselling author of four novels, The Stars’ Tennis Balls, Making History, The Hippopotamus, and The Liar, and the first volume of his autobiography, Moab is My Washpot, Fry has played Peter in Peter’s Friends, Wilde in the film Wilde, Jeeves in the television series Jeeves & Wooster and Laurie in the television series Fry & Laurie.